I'm a little late getting this out and I'll be a little later getting this week's party started, but I just have to share my favorite link ups from last week. Crockpot Chicken Noodle Soup from Peanut Life Adventures--this is in my crockpot right now! Thank you to everyone who linked up. If you were featured be sure to grab a brag button! 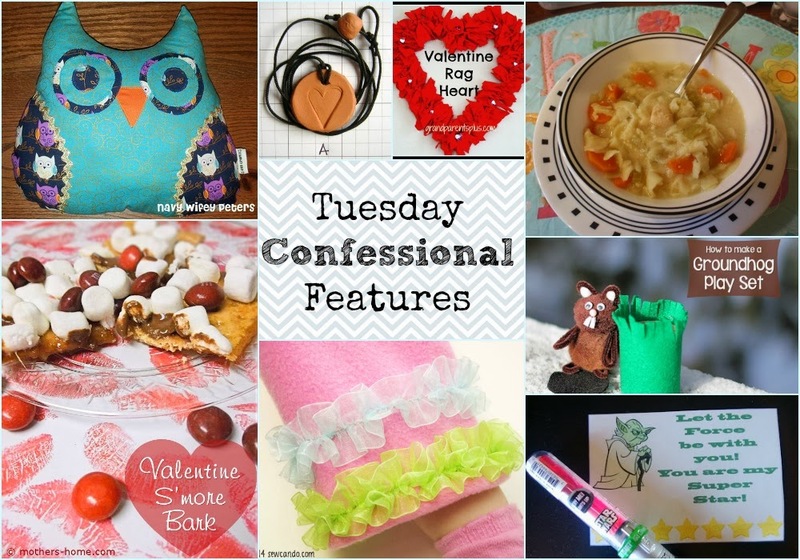 Don't forget that these features are also pinned to my Tuesday Confessional Features board on Pinterest. Yea! Nice surprise to see my Valentine Rag Heart featured!! Thank you! Hey Macy! Thanks so much for featuring my owls!! !